Via Infomigrants – A new migrant route from Turkey has been opened up by human traffickers – particularly Ukrainian and Russian – to transport migrants to Europe, mainly through Italy. In recent weeks, the smugglers have used sailboats and landed on the beaches of Sicily at night. In Siracusa, Carabinieri police discovered 40 migrants believed to be from Iraq, walking between the seaside resort locales of Fontane Bianche and Avola. The Italian finance police and Coast Guard are searching for the boat that brought those migrants to the beach. The same method was used in recent days to bring 44 migrants to the Siracusa area. That group of migrants – 27 Afghans, nine Iraqis and eight Iranians – departed from Turkey, paying about 5,000 euros per person to land in Vendicari, Sicily. They were transported in a 38-foot sailboat bearing the name Hugin and flying a US flag, with two Russians at the helm. 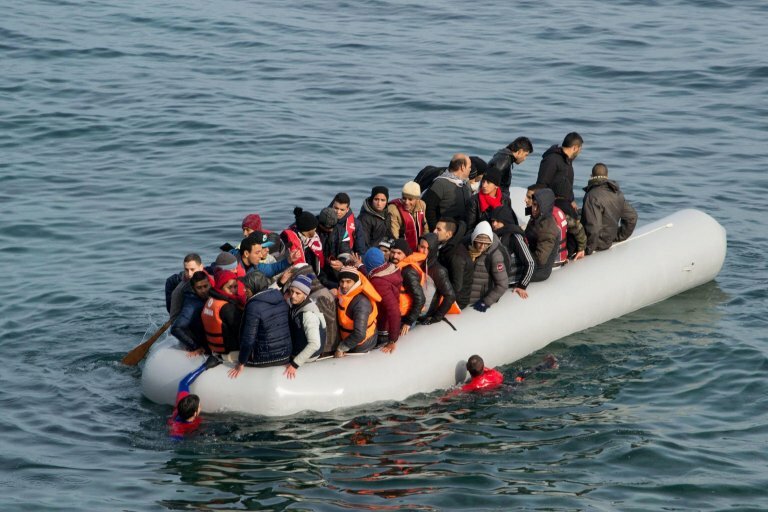 Coast Guard figures confirm this trend, showing that the route from Turkey led to stopping 14,470 undocumented migrants who were trying to reach EU shores in the first seven months of the year. This number is a 60% increase on the 9,152 people who tried the crossing from Turkey in 2017. The majority (13,336) were trying to reach the Greek Islands through the Aegean Sea, while the others were intercepted in the Black Sea and the Mediterranean. The route saw a peak in May, when more than 3,000 people were stopped, following the 2,534 intercepted in April.In the same period, there were 54 migrant and refugee deaths on the crossing, compared to 20 last year. In particular, over the past 10 days other shipwrecks have brought numerous victims. The worst, with at least 19 victims, involved a boat that left southern Turkey and capsized in the eastern Mediterranean, off the coast of Cyprus. Another six bodies were found yesterday following a shipwreck near the Greek island of Lesbos in the Aegean, with three children among the victims. In addition to the migrants from Iraq and the Middle East, there are also some Turkish refugees who are fleeing accusations of involvement in the July 2015 coup attempt with ties to the suspected coup mastermind Fethullah Gulen. They are leaving due to the purges that have been taking place under Turkish President Recep Tayyip Erdogan. They use a route on the Evros River, which forms a natural border between Greece and Turkey.In July, according to Turkish Interior Ministry data, Turkish authorities arrested 383 suspected human traffickers. The suspected smugglers are accused of having organised attempts to cross by sea or having facilitated illegal entries into the country. Since the signing of the disputed March 2016 migrant accord between Turkey and the EU, daily migrant arrivals to Europe from Turkey have gone down considerably. UN Refugee Agency UNHCR estimates that 16,142 migrants have arrived this year in Greece, with an average of a few dozen a day. It said 60% are Syrian and Iraqi refugees. This article was originally published by Infomigrants.